“Lee is just tremendous, he made the development of our audio book exciting as well as interesting with a true flair for bringing the excellent narration together and bringing the whole thing to life....a true professional and wonderful to work with." “Great website with great services! Our voice over from MediaMusicNow... it was just lovely and it was delivered on time with perfect quality which was crucial for our project. Customer service was always kind, helpful and willing to solve problems." “Top notch service from start to finish, also went the extra mile with no fuss whatsoever. if your in the market for some media work to be done- look no further.!" “I love your website and your music, it is such great quality, I wish I found this soon, I hope to utilize this site a lot for my projects :)"
“Hi lee, just checked it out and its perfect!!! Thanks a million! Can't wait to do my mixtape!! That's a perfect intro and I can lay a beat over the end part just how I wanted. Worth every penny!! Dj flash"
“We love the on-hold music you have made for Focus Clinics. Fantastic professional production all round. 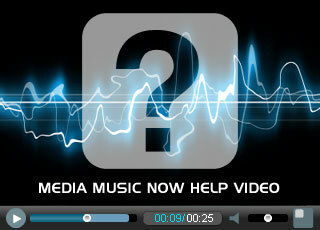 I will certainly recommend Media Music Now to my business colleagues and friends. Thanks for your great work. " “"We approached Media Music Now to produce the sound effects and music tracks for a recent commercial animation project. After discussing our extensive requirements with the team, we were provided with a highly competitive quote. During the project, they were very friendly and highly responsive via email, while the work completed within one week. I highly recommend M.M.N. to anyone looking for high quality, low cost audio production services and we will certainly be using them again."" “Thank you for returning the extended track so quickly. It's fantastic that you offer such a service, as it saves me a lot of work trying to do it myself. I've been hugely impressed with your site, and your service, and I'm sure we will be coming back to you on a regular basis. “Just a quick note of thanks to the team at Media Music Now. Service was professional quick and reliable but also exactly as per the specification. Great Job!" “Your service is just what I wanted - everything done online, via email and on the phone when appropriate. Voice samples were easily accessed; pricing was simple, transparent and affordable; delivery was prompt and with the assurance that if I was not happy I should say so and my concerns would be addressed. All round excellence. I will not hesitate to recommend you to others. The finished product (a promotional animation) will be available on our website."